The day before our due date, Little Bird and I were running errands. She was “independent” and had to be carried out of the street a few times. When we came home for lunch my Braxton Hicks were acting up, but I thought perhaps I had just over done it carrying the toddler. They were stronger than they had been, but still stopped as soon as I sat down. After Little Bird went down for her nap I decided to try to sleep, too. I figured if it was pre-labor, I would need the rest, and if the contractions stopped, then it wasn’t “the real thing.” They didn’t really stop. 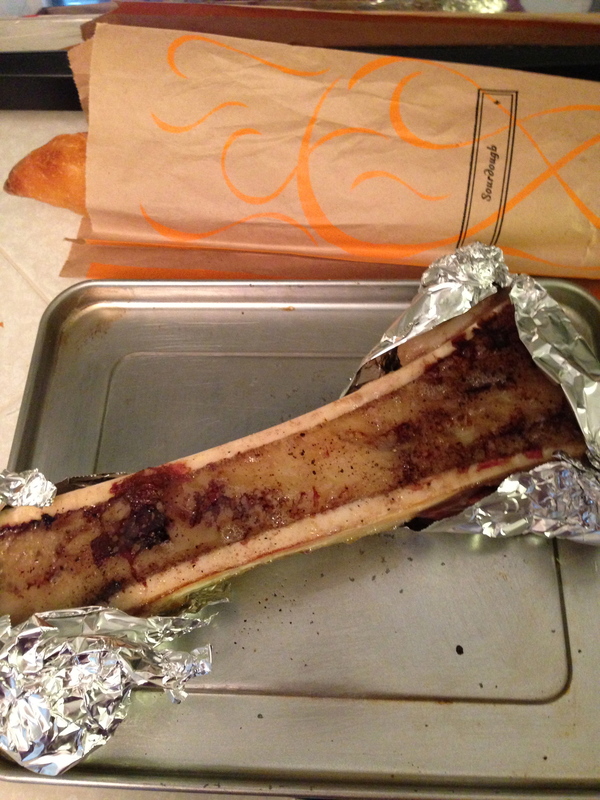 They say to eat lightly in early labor, but I really wanted the bone marrow I bought that morning (my one true pregnancy craving) and roasted it up. It was 2pm and for the next hour the contractions were 5-6 minutes apart. At 3pm I got in the bath tub to relax. My husband made it home just when Little Bird woke up from her nap. Once I was in the bath tub the contractions slowed to 15 minutes apart. I remember tensing up during the surges and telling my husband that I wasn’t doing this hypnobirthing thing very well. 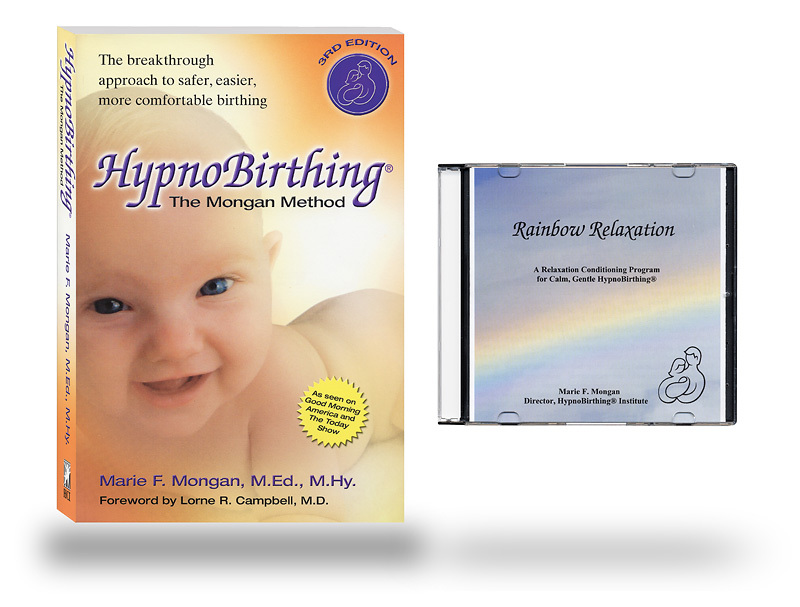 He said, “Well there is a cartoon on [Little Bird’s movie pick of course], why don’t you lay down in a quiet room?” I laid down on the couch in another room and he put on my Rainbow Relaxation CD, the hypnobirthing “brainwashing” I had been listening to every night. That helped a lot and I breathed my abdomen out, expanding, every time the surge wanted me to tense up. Well, I must have been “doing this hypnobirthing thing” well, because the next thing I remember is feeling nauseous and throwing up. At the time, I just took it in stride, as I’m prone to nausea, but, in hindsight, I was probably transitioning, meaning I was likely fully dilated to 10 cm at that point. Again, no clue. The force of vomiting pushed out the mucus plug, and I finally believed I was in labor. TMI warning: Next, I felt the need to go to the bathroom. Yes, I KNOW that the sensation of your body being ready to push is similar, but remember, those contractions had only started being regular again less than an hour before. I thought my body was just wanting to clear out, like it did in the day before my first was born. Then it dawned on me, my one true freak out, I had to push! I told my husband. He freaked out. I’d been carrying the baby low for weeks, and didn’t think it was that different. I freaked out because I had heard that holding the baby in when she was ready to come out was the most painful thing ever. I also had envisioned calmly going to the hospital, not rushing. I was a little doubtful still. Around that time our doula, Karen, came. Thank goodness I had asked her to come “early.” I told her I either had to push or go to the bathroom. I don’t think she believed it. She didn’t think I could have labored so quickly, but suggested I start doing the short, shallow “pa pa pa” breaths to hold the baby in, just in case. My husband drove. I laid out in the back seat. We asked our doula to ride with us instead of taking her own car. She had the presence of mind to call the hospital to give them the heads up we were coming. I had her ask them if it really was the baby and if I should hold her in or not. They said to hold her in. I must have finally believed she was coming, and it strangely calmed me. I knew all I had to do was hold her in. We had a plan. The not knowing was what made me anxious and any last bits of anxiety and confusion left. The pressure was intense, but there were always breaks in between. My husband drove super smooth. We had the hazard lights on. Our doula coached me on the “pa pa pa” breath, “Imagine a feather is floating in front of your face and you are trying to keep it in the air.” My husband was breathing, “pa pa pa.” My water broke in the car. We left the car in emergency loading. They got a wheel chair for me at the hospital. I kept my eyes closed to maintain the zone and was still saying “pa, pa, pa.” I kept holding her in as we rode up the elevator. Thank goodness for all those kegels I did during Bar Method and yoga. An absolutely amazing midwife met us and rushed us passed triage into a delivery room. “She’s feeling pushy,” Karen told them. “Um, how about she’s been feeling pushy for over an hour?” I thought. I said, “pa pa pa.” The midwife said, “My name is Cathy Vaux and I’ve read all of your birth plan.” I silently thanked my doctor for scanning it into the medical record. I crawled up onto the bed and instinctively lay on my side. The midwife said, “It can be hard to check how far dilated you are in that position, but I’ll try…. Oh, that’s a head. 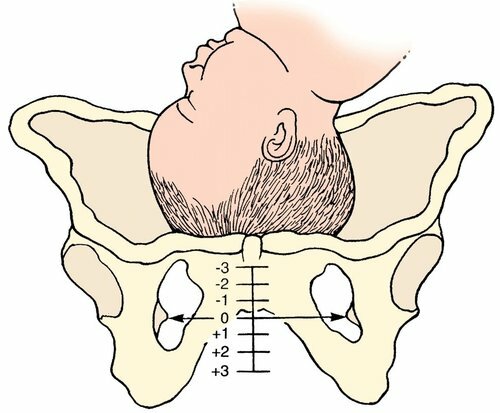 Pos 2!” Pos 2, or positive 2, means that the cervix is fully dilated and that the baby has descended past the pubic bones, one centimeter away from crowning, or coming out. On the next surge, I finally let go and her head was out. On the second, she was born! Two pushes and less than ten minutes after arriving at the hospital I held my sweet little baby in my arms. She is in my arms now, as I type this one-handed. 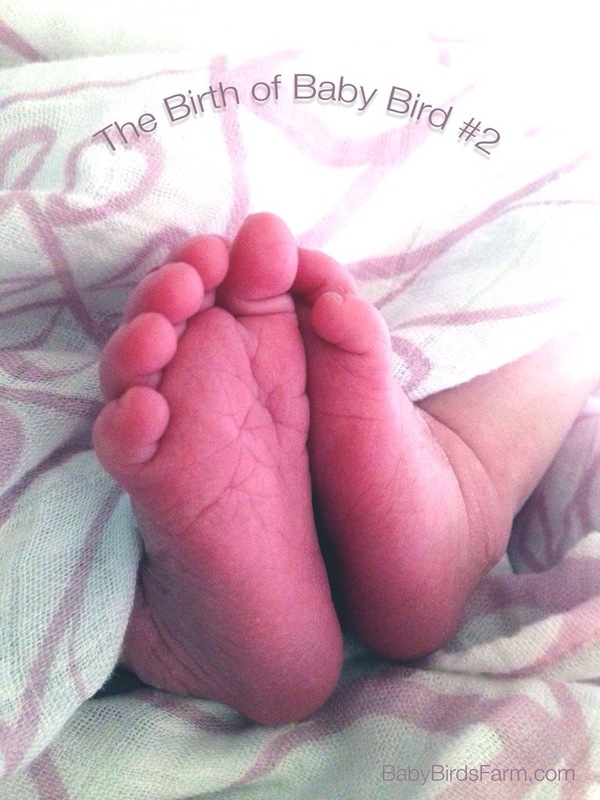 Baby Bird #2 was born at 39 weeks and 6 days, on Wednesday, October 2nd at 6:59pm. She was 6 pounds, 14 ounces and 19 inches long. I held baby in my arms right away and focused on her. It wasn’t all bliss though, to be honest. She didn’t latch on to nurse right away and was still crying. I was also cold and shivering. After the placenta was delivered the midwife asked me something about Pitocin. I said, no, “No Pitocin,” as I had wanted a medication free birth. The baby was born, weren’t we done? “Option B, please.” Which turned out to be manually reaching in to my uterus to remove blood clots. I wouldn’t say it was comfortable, but it wasn’t as bad as holding in the baby when my body wanted to push. I practiced deep breaths but was mostly focused on baby. At one point during the procedure, I sang the lullaby she heard me sing to Little Bird every night. She finally calmed, latched on and nursed, and I relaxed. The midwife finished soon after that. 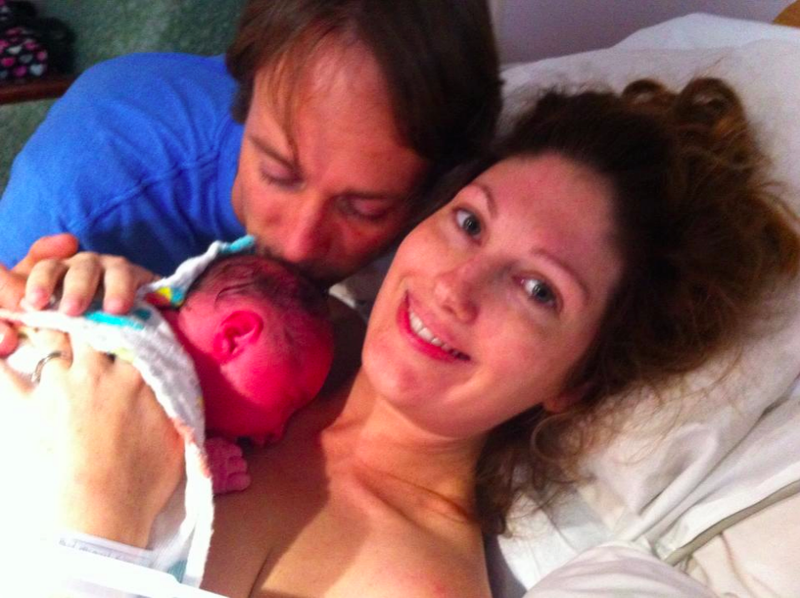 A note from Mama Bird: This birth story is the second post in a series on why and how I pursued an “all-natural” or medication- and intervention-free birth. I had an amazing experience and am now passionate about birth education and choices. I believe that all kinds of births are awe-inspiring miracles and life-changing experiences. I don’t believe that one kind of birth is necessarily better than any other. But I do believe that the current American medical system does not educate women and families on all the options that are available. Please check back for new installments in this ongoing series. Use the subscription box to the right if you would like an email notification when new posts are published.